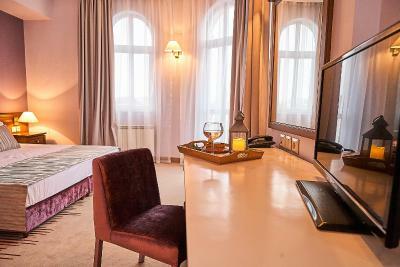 Lock in a great price for Hotel Lion Sofia – rated 8.2 by recent guests! The location is very convenient and the staff is helpful and kind. 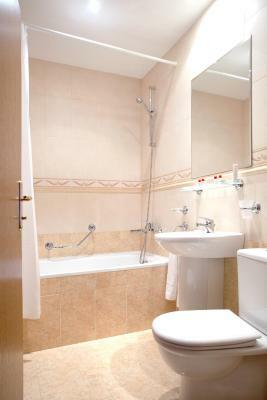 - Excellent location in the city center. 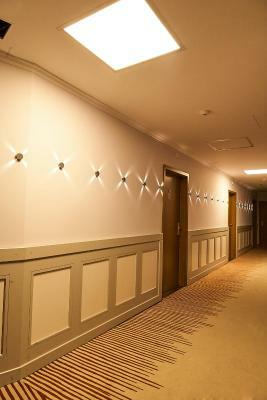 - Friendly and accommodating staff. - Value for money. The hotel is situated very close to the city centre (the city isn't that big, but it was still super helpful being close to the centre). There are metro stations and the preserved ruins of Ancient Roman structures nearby, which were interesting to walk through. The room itself was big, the beds were comfy, and the bathroom was clean. And although the hotel is situated near a roundabout, the windows are thick enough that you don't hear the traffic. I had read that noise was an issue. But I was on the fourth floor and there wasn’t any noise from the streets. The windows were new. Super spacious rooms, right next to a metro station, looked and felt clean which is a huge factor, included a nice variety of breakfast options on the buffet, nothing excessive, but the good basic stuff. Overall, will continue staying there when I need to sleep over in the capital. We were also allowed to stay a couple of hours extra and our bags were kept at the hotel until the time for our flight came. Fast internet, awesome breakfast, very close to the city center (we didn't even use public transport) and to the bus station (useful if traveling around the region). Very quiet rooms. 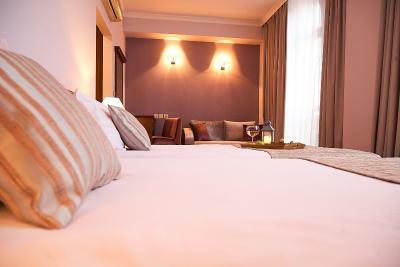 Hotel Lion Sofia This rating is a reflection of how the property compares to the industry standard when it comes to price, facilities and services available. It's based on a self-evaluation by the property. Use this rating to help choose your stay! 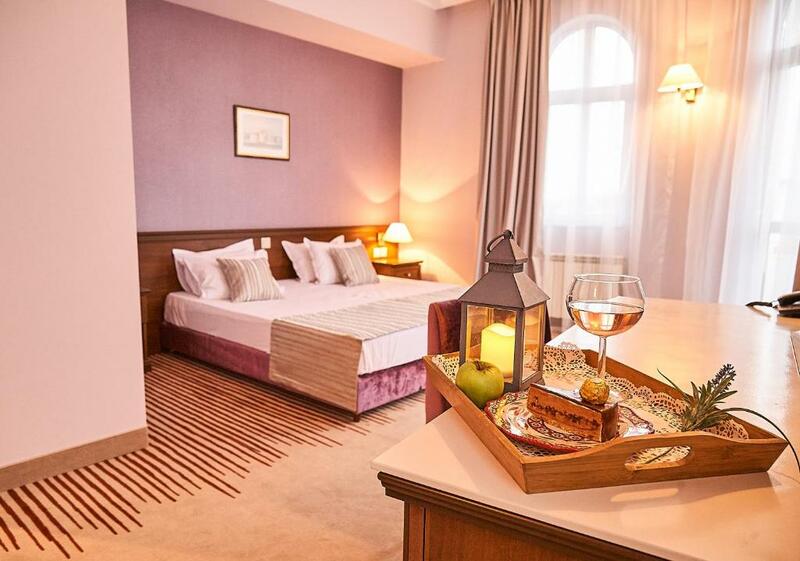 One of our top picks in Sofia.Hotel Lion is located in the center of Sofia, just steps away from the Lavov Most Metro Station and a few minutes' walk from Alexander Nevski Cathedral and the Vitosha shopping boulevard. It provides free Wi-Fi and the cafeteria serves breakfast and snacks. 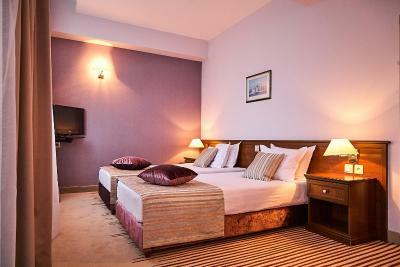 Hotel Lion provides air-conditioned, spacious rooms with fully equipped bathrooms, a work desk, mini-bar and cable TV. 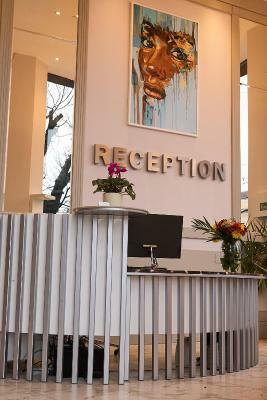 Guests can benefit from the business corner equipped with a PC, copier, fax and internet access. Cafeteria Papaya offers various breakfasts and many delicious specialties. There you can also unwind with your favorite beverage. A 10-minute walk will take you to the famous Women's Market, the Tsentralni Hali shopping hall and the popular landmark Central Bath House. 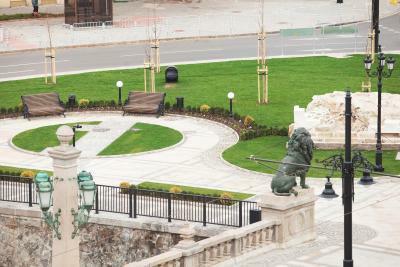 The Lion is a 20-minute drive to Sofia Airport and airport transfer is offered against extra charge. It is 1,650 feet from the Main Train and Bus Station. 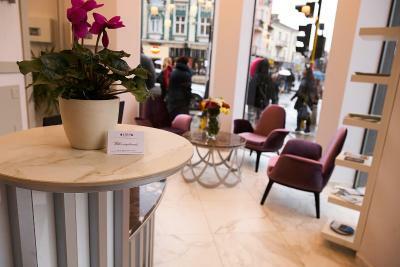 When would you like to stay at Hotel Lion Sofia? 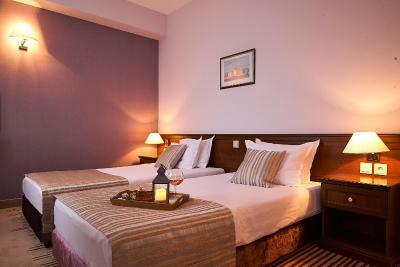 West-, north- or south-facing room with individually controllable air-conditioning, cable TV and free Wi-Fi. Spacious room with a balcony facing west or north. 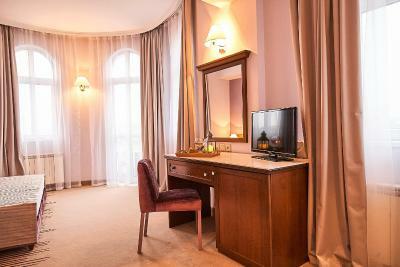 There is a large work desk, individually controllable air-conditioning, cable TV and a mini-bar. 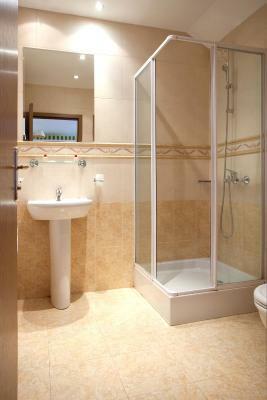 The bathroom features additional toiletries and scented towels. This twin/double room has a balcony, air conditioning and cable TV. This twin/double room has a balcony, cable TV and soundproofing. Please note that the extra bed is a roll-away bed. This twin/double room has a balcony, air conditioning and soundproofing. The hotel is located in unique historical building. It's an architectural monument. 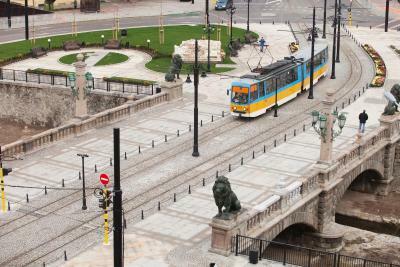 Hotel LION is located on the recently renovated LION'S Bridge - one of the most popular bridges in Sofia together with EAGLE'S Bridge. 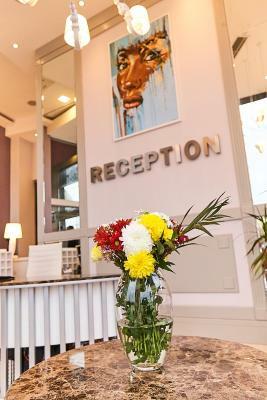 House Rules Hotel Lion Sofia takes special requests – add in the next step! Hotel Lion Sofia accepts these cards and reserves the right to temporarily hold an amount prior to arrival. The hotel offers no special facilities for the disabled. Kindly note that the restaurant will be closed from 27 February 2019 for renovations. Packed breakfast will be served in the lobby, while coffee, tea, mineral water, and fruit will be offered from 7:30 to 10:00. The lack of parking solutions is a really big problem. In the center of Sofia, without hotel parking solutions, I was supposed to send 200 SMS worth EUR 100 for 4 day's worth of parking. The alternative was a fixed EUR 30 parking fee for 4 days, but without having actual access to my car inbetween. 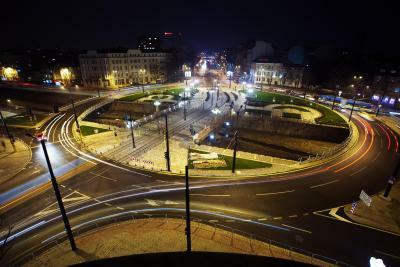 This is madness and affects all tourists driving into the center of Sofia. The hotel should really consider a partnership with a nearby parking or risk losing customers. In the future I will NOT book this hotel again unless they provide safe and decent priced parking for its paying customers. unfortunately our shower head fell off the wall, although this was easily fixed, staff went over and above to help out with this matter. The morning staff member was less friendly; then the prev. night staff. checking in was very easy; had a very friendly staff member, we received free breakfast in the morning which was nice, the room was very big and stylish and the bed was comfortable. The bathroom wasn't the best and at night the area was a little shady. I liked that it was close to a metro station, supermarket and KFC. Free wifi and breakfast that we could eat in our room was great too. Late check out was awesome but didn't need it. I was there just for the night so there wasn't any. Convinient location. Close to the Metro and also to shops and restaurants. Maybe the breakfast could be better! Good location, clean, big room! very good location. Directly in front of lion bridge. 10 minutes walk to train station, walking distance to many sightseeings. The restaurant is under renovation so you get a breakfast bag to eat in the lobby. Not many restaurants/cafes nearby, you have to walk into town. Huge room. Great view of lion Bridge. 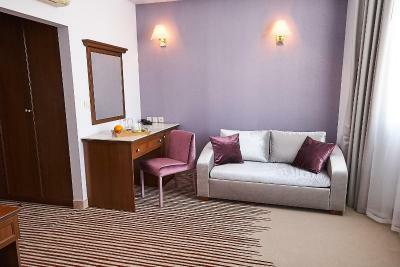 You can ask for a kettle in your room as the coffee/tea machine in the lobby is only able to be used in the mornings. Close to bus station, train station and metro.